Give God glory and lift his name in song! 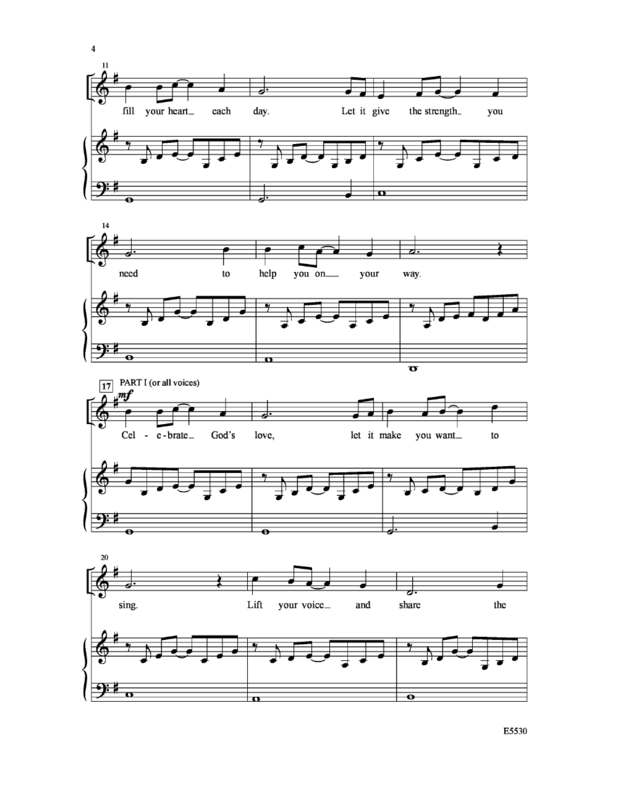 This outstanding offering from the well-known writing team is perfect for your young singers! 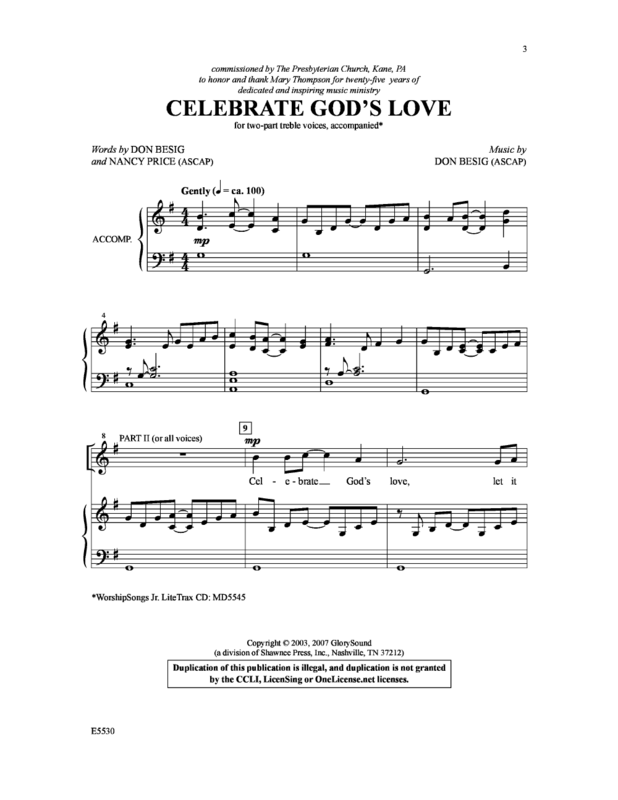 Your children's and youth choir will resonate with joy and praise as they Celebrate God's Love!